We recommend buying all Sefarim Hebrew and English here in Israel. Preferably in Yerushalayim ( more English variety)or in Kiryat Sefer ( less English variety) near the Yeshiva. It is mandatory that every student joins a local health plan. Even if a student has international insurance they will need to purchase health insurance in Israel. It will ensure that your son is cared for in the most effective, cost-efficient, and timely manner. No student may arrive without local insurance. You send your children overseas to nourish their souls. Who takes responsibility for their physical well-being? The post-high school year in in Israel can be a life-altering experience. Living in a new country with a foreign culture demands maturity and responsibility, giving young adults a chance to learn to cope on their own. But some things can’t be left to the learning curve. Bewildered by an unfamiliar and complex medical system, many students neglect their health while in Israel. True, students can sign on to some sort of private health care plan. However these plans most often do not provide the coverage necessary for anything above the basic sore throat or stomach ache. A student in Israel will receive the most health care benefits by joining an Israeli health plan (Kupat Cholim) which will offer the optimal combination of services and coverage available to a non-citizen. MSG was established to guarantee that no student would be left without the best medical care and guidance possible. Here at MSG experience & quality of service are everything. 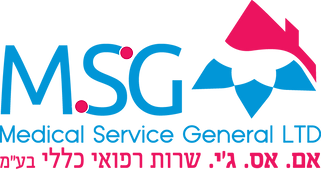 All the staff of the MSG chaperone team have years of experience in medicine and years of experience dealing with Israeli bureaucracy, We speak English and Hebrew, and understands the world of a yeshivah boy or seminary girl. This allows for a trusting relationship between MSG members and MSG staff, because our clients know they’ll be taken care of in the most respectful, discreet, and professional manner. I hope that you are enjoying your summer. I am sure that you are getting your son ready for Yeshiva, we are looking forward to the upcoming Zman IY”H. Anyone studying in Yeshiva abroad must obtain a student visa. The process can be very simple and can be done in Israel. It is more complicated and expensive if the visa is not taken care of within the first two weeks of arrival. In order for the process to be smooth on both ends, please take care of the following before your son arrives. Please send your son with the relevant information and scan/provide the following information to the office as well as so we can assist your son. Please let the office know. As of 06-20-2018 your son will get a פטור for one year, he will not need a visa. To do that, you will need to contact your local Israel Consulate before your son arrives and they will help you with the relevant information needed to receive the פטור. If your son decides to come back to learn the following year, he will be allowed to stay in Israel for up to 120 days without any problem. You will need to contact your local Israel Consulate with a letter from the Yeshiva that your son is attending and they will give you a פטור for another 3 years. This can also be done once your son returns to Israel. It is vital that to let the office know if your son falls in the above category. Please do not forget to send in the above information to the office as soon as possible. Please complete your order well before you come so they can be ready for your arrival. Each student must bring his own towels, bedding, and linen. It is advisable to bring a warm blanket, as it can get very cold in the winter. There are a few companies that provides blankets and sheets for a reasonable price to lessen your luggage load if you so desire. You can find out more information on their websites provided below. There are regular “in-Shabbosim”. On “out-Shabbosim” the Yeshiva remains open providing meals to any bochur who would like to stay. Occasionally the Yeshiva goes on tiyulim especially during the Bein Hazmanim. In addition, the Yeshiva periodically spends Shabbosim together in locations throughout Eretz Yisroel. Please note that students share of the cost. Prices and number of trips will vary from year to year. The Yeshiva will provide access to computers where students can check their e-mail accounts. Yeshiva policy absolutely prohibits personal laptop computers, DVD’s, PSP’s, Ipods, Ipads, tablets, smart phones or any other device with internet or movie-playing capability. Our goal is to create an environment conducive to personal growth in תורה and all areas of “עבודת ה . We all know the detriment these items can have on a talmid’s growth and express our appreciation for your cooperation on this matter. As Elul Zman approaches, we are sure that you are getting ready and shopping for your son for the upcoming Zman. We just want to be clear on the importance of the environment and sevivah of the Yeshiva for all of our growth. It is very important that everyone dresses in a mechubad, in an honorable way with dress pants and button down shirts and on Shabbos, with suits. This we know enhances the overall attitude as our external can also inspire us internally. We are all coming to Yeshiva to grow in torah and Avodas Hashem and part of that is dressing like a ben torah and being sensitive to ones surroundings. We are looking forward to a tremendous year of growth together.